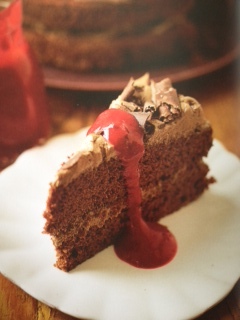 Cooking With Catherine- Devil's Food Cake with Raspberry Coulis - What Would Kate Do? Just one year ago we were all absorbed in The Great Kate Wait, anticipating the birth of the most popular Royal baby in recent history. Now that it is all behind us, we look forward to celebrating the Royal baby aka Prince George’s 1st birthday!! A first birthday is a very important occasion in a child’s life (mostly because we get to indulge in cake) and what better way to celebrate the first year of your precious off-spring than to bake something that YOU used to eat as a child?! 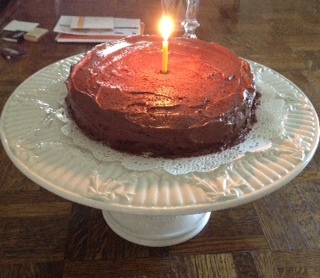 In this CWC edition, I experimented with a Devil’s food cake and raspberry coulis from Pippa Middleton’s “Celebrate”. Pippa says ” This chocolate cake reminds me of holidays in the Lake District when I was a child. A friend who lived there would make this cake and leave it in an old Roses tin for us to enjoy during our stay.” Happy baking! Preheat the oven to 300F. 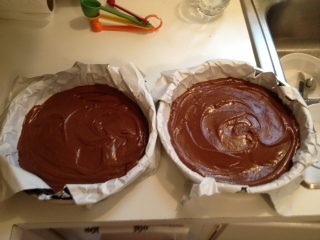 Grease and line two 8-inch layer cake pans with parchment paper. Cream the butter and superfine sugar together until soft and fluffy. 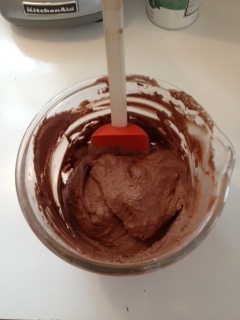 Then gradually add the beaten eggs, mixing well after each addition. 3. Blend the cocoa powder with the water. 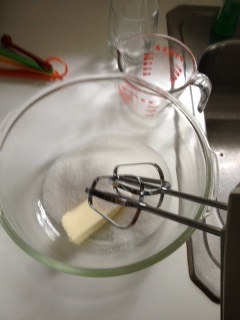 Add alternately with the flour into the butter mixture, until all is blended smoothly. 5. To make the icing, beat the butter and confectioner’s sugar together until light and fluffy. 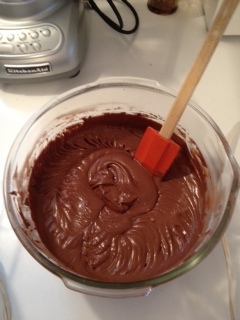 Add the cocoa powder and milk and beat until combined. 6. Sandwich the cakes together using half the icing, then use the remainder to top the cake. Decorate with a simple dusting of cocoa powder. 7. For the coulis, blend the raspberries, lemon juice and sugar until smooth, then strain to remove any seeds. I had never used self-rising flour before, however it is a common ingredient throughout the desserts in “Celebrate”. When I went to the store to buy some for this cake, I could not find any so I used trusty Google to find out how to make my own. I thought to myself, “how hard can this be?” and it wasn’t…unless you use EXPIRED baking powder…yes my lovelies, my baking powder was a few years days past its prime so my cake did not rise to the heights that it should have. Aside from the stunted growth, the taste of the rich chocolate cake with the tart raspberry coulis was sublime. Happy 1st Birthday Prince George!!! !